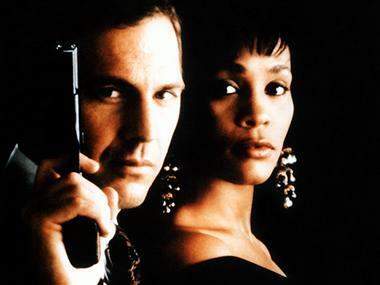 Meet Your Running Backs: Kevin Costner and Whitney Houston! 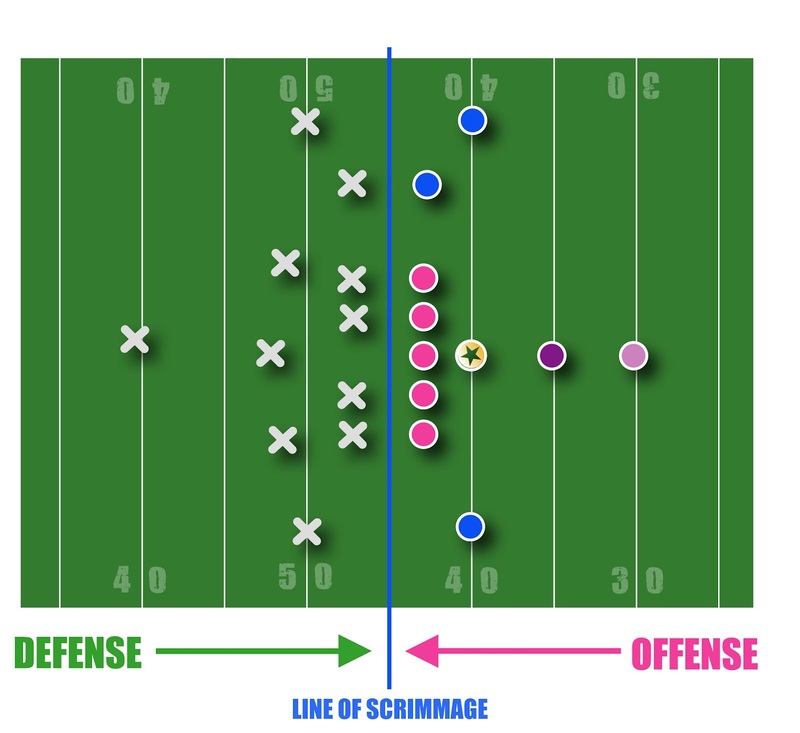 The blue guys way out on either side of the offensive line are the WIDE RECEIVERS. We'll deal with them later--just get a feel for where everyone is lining up.And now we come to our stars of the evening! The RUNNING BACKS. There are 2 of them--one is the FULL BACK, lined up behind the QB, and the HALF BACK, lined up behind him. 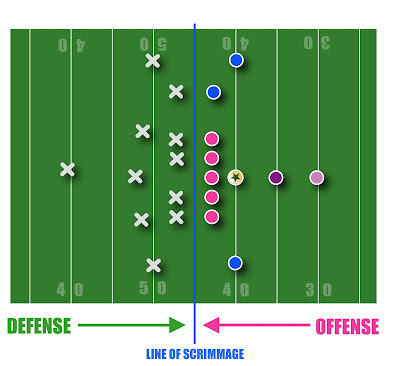 When the play starts, the ball is hiked to the QB, who then has a few options. 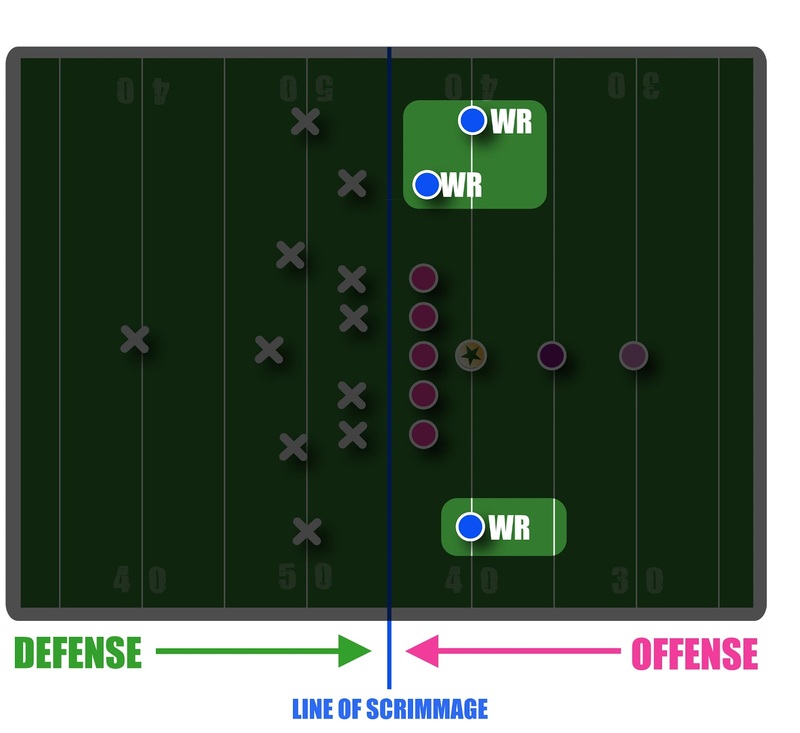 He tries to either throw it down field to the wide receivers (who catch, or "receive" the ball) or hand it/pass it to the HALF BACK who runs it (hence the term "Running Back." They run.) down the field toward the other teams endzone. Don't worry, it will all come together in a sec, I promise. SO, the HALF BACK is another type of Golden Child. Shall we say like someone who has recently made a.................COME BACK? Someone, like, say...............Whitney Houston? Hmmmm? Are we getting this? Good. 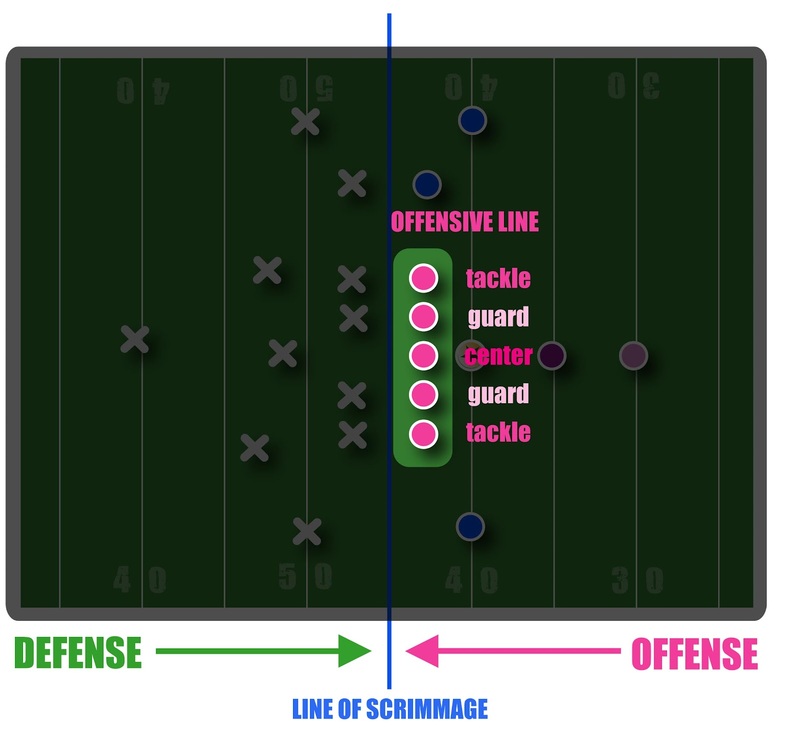 Remember that the sole job of the OFFENSIVE LINE is to block the "X" guys right across from them and create "holes" for the "backs" to get through. 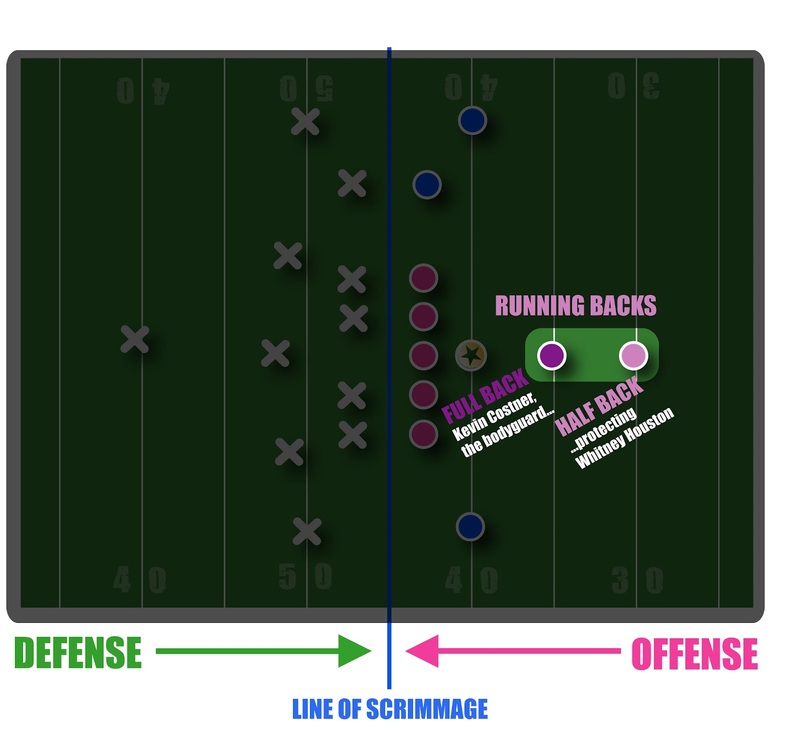 (QUARTERBACKS and RUNNING BACKS) And why are they called "backs" at all? 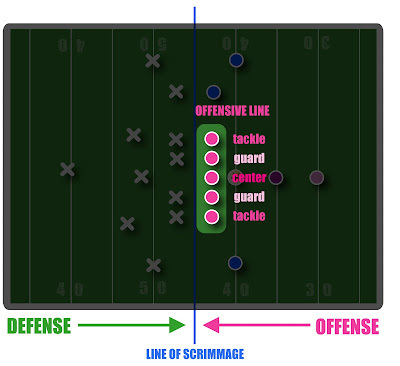 It simply means that they all reside "back" behind the line of scrimmage. 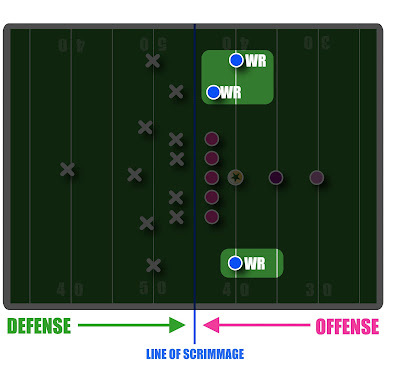 The HALF BACKS (or the Whitneys) touch the ball (ie-grab it and run with it) about 30 times per game. 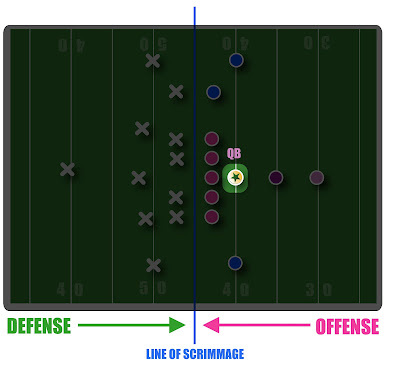 This is a big deal because there are probably only about 50-60 touches in the entire game. You'll hear about these guys a lot. These guys get systematically pummeled over and over and over again and therefore have very short career life expectancies. You won't see any RB as "old" as Brett Favre out there on the field. They will have long since retired or gotten injured. They are the ones you see on TV with dirty uniforms and pieces of grass sticking up out of their helmet--usually because someone has slammed their head into the ground. Multiple times. Sometimes, HALF BACKS are called TAIL BACKS. Who knows why. If you want, maybe you can think of Whitney as a "PIECE OF TAIL BACK." Hey, whatever helps you remember, right? Although FULL BACKS have a pretty thankless job, sometimes the QB gives them the ball. Why bother? Well, this only happens on "short yardage plays" meaning it's 3rd down and 1 yard to go. 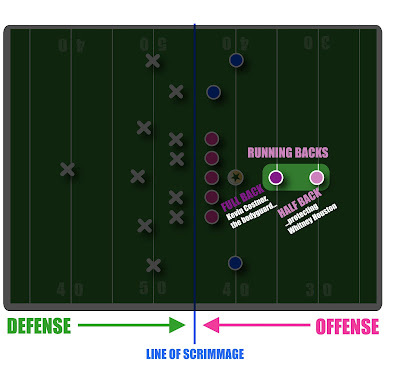 (Or "3rd and 1") Click here for a refresher on "downs." If there is only 1 yard to go to get the first down, they expect Kevin to morph into Bobby Brown and simply plow through the line or sometimes even catapult themselves right over it. Whitney would be much to delicate for that. Can you imagine? Tour the new Chick 101! "The World's Greatest Garlic Bread"
FREE download...Football Squares Pool for Superbowl Sunday! WHO'S READING CHICK 101 RIGHT NOW?? © 2009-2014 Molly Anderson. Powered by Blogger.